They say breakfast is the most important meal of the day. And that may be especially true if its the meal to kick off your vacation day on Kauai. 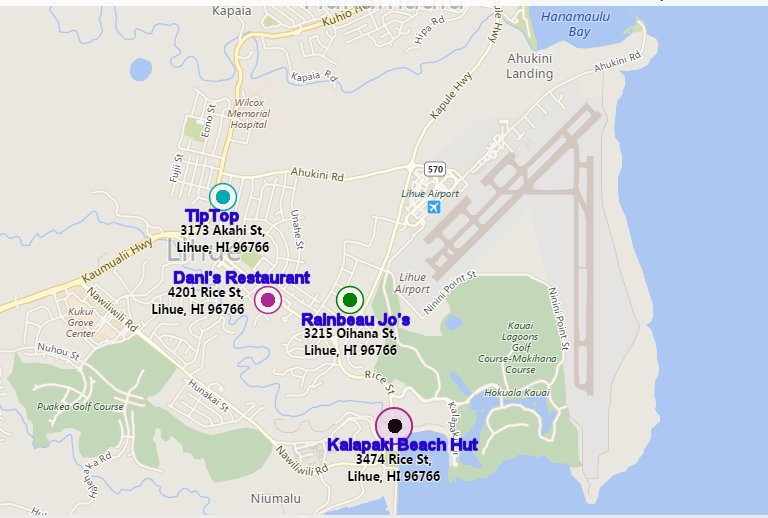 Here are my suggestions for the best places to catch your breakfast while in the Lihue area. Note that all of them are close to the airport so they might be a convenient way to simultaneously burn a little time and get breakfast on the way to catch your flight. Here they are in no particular order–as they each have their own strengths. These first three locations are all favorites among the locals. This one is also a favorite among those staying at the Kauai Marriott resort because of its proximity. The Kalapaki beach hut has a nice friendly staff that serves up heaping portions of home-style food. It is minutes from Kalapaki beach (a great beach for swimming, boogie boarding, and eating breakfast). It is hard to beat breakfast on the beach. The Kalapaki Beach Hut serves a wide variety of breakfast foods and smoothies. The popular breakfast items here are the loco mocos or Portuguese sausage omelettes. Both are rich, tasty and probably very unhealthy. 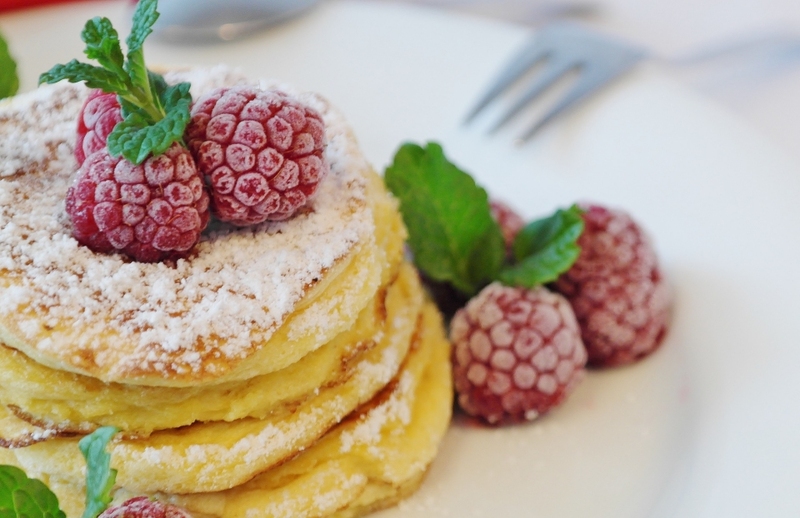 If you arrive too late for breakfast (11 am), you could cut lose with their lunch menu. Popular lunch items are the aloha burger, fish and chips, and the volcano burger (jalepenos make this one lava hot). You can also get some shave ice while there. The Kalapaki beach hut is easy to miss. Look for the skinny two story hut. Parking is limited to 5 parking stalls that are usually full so you may need to park across the bridge. Take a seat upstairs for great views and the nice ocean breeze. 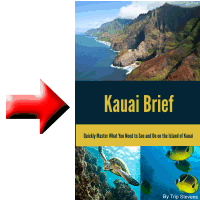 The seats fill up fast so you may want to plan on a short walk over to Kalapaki beach. It is especially busy on Saturday mornings. Open 7 am to 8 pm. Keep in mind that the beach hut is a fast food restaurant, if salty fried food is not your thing, keep looking. This is another local favorite and is only open for breakfast and (early) lunch. It opens at 5 am and closes at 1 pm Monday through Friday. It closes at 11 am on Saturdays and is closed all day Sundays. Basic breakfasts are served but you will want to branch out to island favorites. The popular items at Dani’s includes mango or banana pancakes, kalua pork omelettes or the BCLM (bacon cheese loco moco). Dani’s is more of a sit down place than the Kalapaki beach hut and is great for families. It can get quite noisy so it is not a place for that romantic getaway. You will be served by sweet ladies pushing the food around on carts. Come to think of it, it is a lot like an elementary school cafeteria experience–in a good way. One of the big reasons why folks like to come to Dani’s is their complimentary pot of Kona coffee. The biggest gripe about Dani’s is that they use spinach in the place of actual taro leaves in their lau lau. If for you, there is no substitution for taro leaves, keep looking. Yeah the name doesn’t sound like your best experience on Kauai, nor will it look like it from the outside, but this one really is a hidden gem. It is best described as an American/Chinese/Japanese bakery/restaurant. The early 70s’ decor gives the place even more personality. The Tip Top’s claim to fame is its oxtail soup but it has plenty of other great choices if that doesn’t tickle your “start of the day” fancy. Popular breakfast food items here include pineapple banana nut pancakes and of course their loco mocos. If you do get the pancakes, be sure to get the coconut syrup or spend the extra 50 cents for the guava jam. You will thank me later. The Tip Top cafe is over 100 years old. It was opened in 1916 by Deniro Ota. The business has been handed down through the generations and is now run by Jonathan Ota, Deniro’s great grandson (fourth generation). Tip Top was originally started as a restuarant but Denjiro’s entrepreneur son, Mitchell added a 34 room motel to the business and today we have the Tip Top Motel and Cafe. This is another crazy popular place in the mornings and despite having a motel parking lot, parking can still be challenging. If you are cold blooded, you may want to bring a jacket as their air conditioning only has one setting–high. If you are looking for a less touristy spot for your meal, this is the place. If you are looking for a place with lots of options for fruits and vegetables, this is not your place. If you do decide that it is your place, grab some Kauai bread and macadamia nut cookies from the bakery on your way out and extend your Tip Top experience through your day. I always thought that the fish taco trucks were the only food trucks worth visiting in Hawaii but this place proved me wrong. Rainbeau Jo’s is a food truck serving up specialty coffees and bagels. Run by the couple, Beau and Jo, they call themselves the Cruzin’ Coffee Slingers. They serve up plenty of Kauai vacation tips with their steaming coffee, organic bagels and home-made cream cheese. They are the nicest folks and have a cult-like following with their most devoted customers. Favorites there include the Funky Monkey (granita) and “Lox it up” (bagel). If you think you will be vising there frequently, ask for a punch card. This place is located in an industrial park so you will definitely want to grab and go. Remember my previous advice about eating at the beach? You won’t be far from Nawiliwili Bay. Take note of Rainbeau Jo’s hours. They are open from 7:30 am to 11 am on Mondays, Tuesdays, Thursdays and Fridays. They do not have the problem of being extra-busy on weekends. While you probably aren’t going to Kauai for a good breakfast-although any excuse is a good excuse, there are plenty of choices for a great breakfast to add to your Hawaiian vacation memories.